Photography and real estate go hand in hand. Stunning (or sometimes hideous) images accompany every listing, and without the right pictures alongside, the odds of a quick sell are slim. 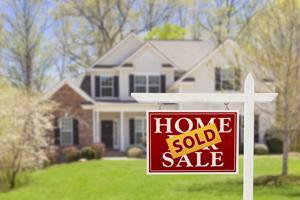 For real estate professionals, getting the perfect shot to help clients sell can be tricky. Hiring a photographer is costly, and not every homeowner is willing to accept this expense. On the other hand, agents who take the photos themselves are inherently cheaper, but they may not have the expertise to get the best snapshot. However, that is changing as technology improves. Take Instagram, for example. This social media site is designed to make taking and sharing photos simple, and as a result, it has become a perfect ally for the real estate industry. The best part of Instagram is its simplicity. Here, real estate agents can take and share pictures with a few clicks, all right on their phone. The social media site comes with several built-in features as well, and all professionals should learn what these are for the best possible results. For starters, one of Instagram's more well-known features is the ability to apply a unique filter, according to Century 21. Once a photo is taken, the site allows users to choose between a variety of creative and attractive filters that instantly edit the image. The end result could be the perfect shot of a listing. Other editing sites have also popped up to compliment Instagram, opening up more options for agents who like a little more customization with their photos. At its core, Instagram is a social media platform - and it should be treated as such. Once a photo is taken, agents should post it to their other profiles, such as Facebook and Twitter, as well as their Instagram page. The site makes it easy to add hashtags, increasing the likelihood of more viewers. Maximizing efficiency on social media requires a comprehensive understanding of the housing market. Once, professionals had to spend hours in their local courthouses. Now, they can acquire property data, mortgage records and much more courtesy of CRS Data. Read our Property Values and Key Property Data white paper to learn more. Since Instagram is a social media site, it is a breeze for real estate professionals to interact with their followers here. This platform allows users to take a photo of a home for sale, upload with the relevant hashtags, and then comment and respond to other users right beneath the image. According to Real Estate Insider Magazine, having conversations is one of the best tips out there for using Instagram for the real estate industry. Ideally, followers will have similar interests, so it won't be hard to start talking and get people involved. This social media site also includes a geographic tag, so agents can mark on a map where the photo was taken - making it easy for users to find out where the home is located. While responding to their comments is a good place to start, agents should also consider "following" them back to keep the dialog going. In this sense, Instagram can not only increase exposure for the listing, but for the agent as well. Posting a photo can quickly turn into a lead generation opportunity, helping professionals connect with potential future clients and demonstrate their industry knowledge in an easy, quick manner. Overall, Instagram is a cost-effective and simple tool for the real estate industry.